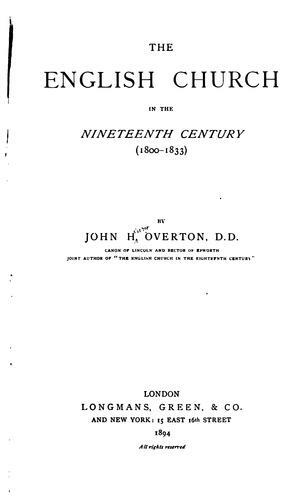 Publisher: History of the English Church -- v.7. 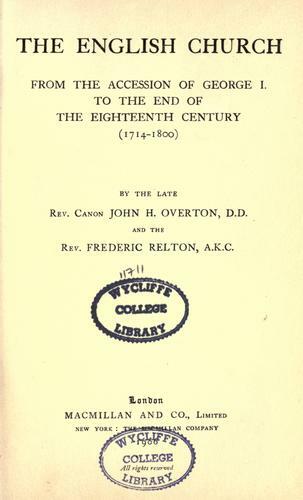 "History of the English Church -- v.7" serie. 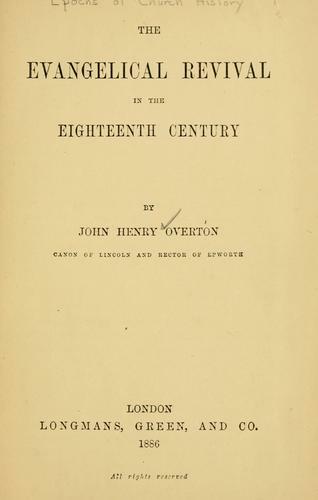 The Download Library service executes searching for the e-book "The English Church from the accession of George I. to the end of the eighteenth century, 1714-1800" to provide you with the opportunity to download it for free. Click the appropriate button to start searching the book to get it in the format you are interested in.